Men are better than women! Indoors, women are useful — even pleasant. On a mountain they are something of a drag. 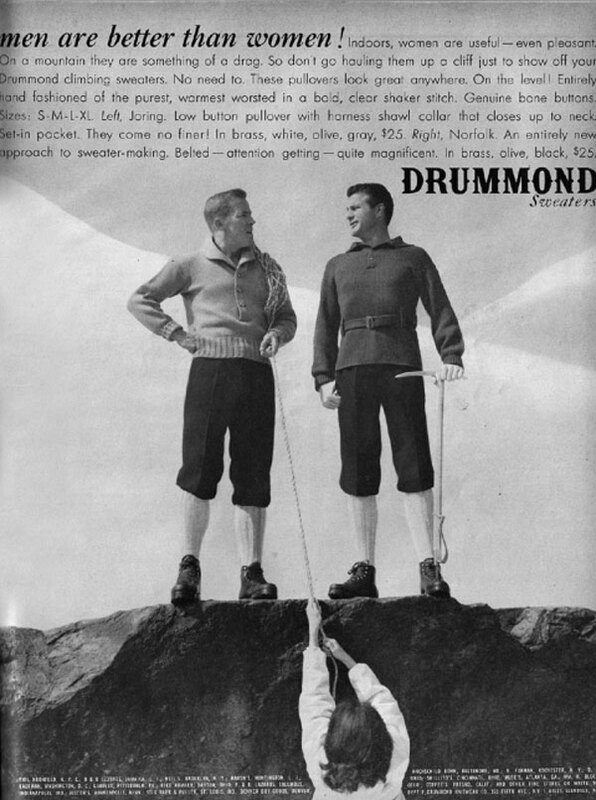 So don’t go hauling them up a cliff just to show off your Drummond climbing sweaters. No need to. These pullovers look great anywhere. On the level! Entirely hand fashioned… Drummond Sweaters. Created about 7 yrs, 25 days ago (March 26, 2012). Updated about 7 yrs, 25 days ago (March 26, 2012).